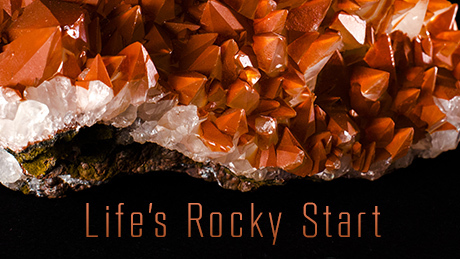 The award-winning science show NOVA, broadcast by PBS, featured Hazen's research on the co-evolution of the geosphere and biosphere in an hourlong episode titled "Life's Rocky Start." The episode follows Hazen around the globe, from Morocco to Australia, as he demonstrates how life and minerals have influenced each other through Earth's 4.6 billion year history. Watch the full episode online here, or purchase it through iTunes, YouTube, or Amazon. Aired on January 13, 2016 at 9pm on PBS.